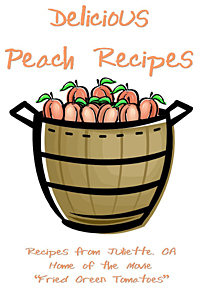 Great southern recipes for peaches. Includes Southern Peach Cobbler, Peach Cream Pie, Georgia Peach Bread, Peach Ice Cream and many more. 20 page booklet.